DHPBloc is a welded plate type heat exchanger which can be applied up to pressure of 42 bar and temperature of 375 ℃. 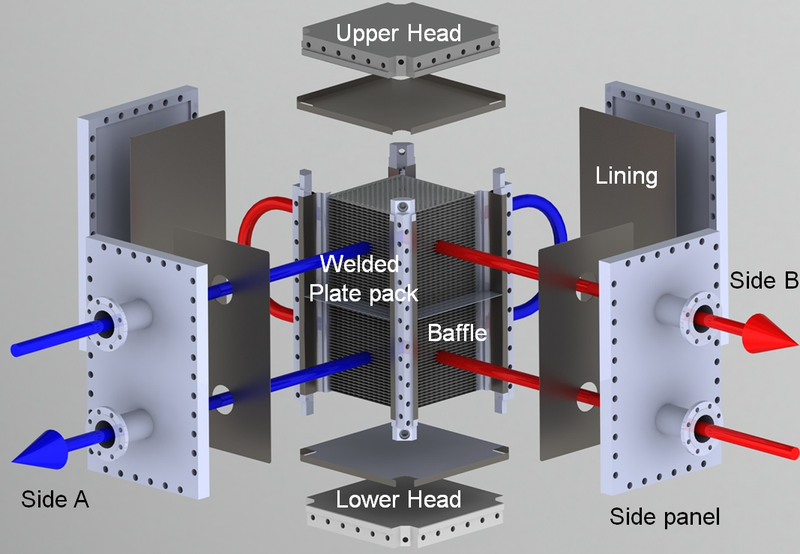 This is because the heat plates are welded instead of the rubber gaskets used in conventional plate heat exchangers. DHPBloc consists of a fully welded plate pack, four side panels, top and bottom heads, and four columns, and it can be easily assembled by bolts. These side panels can be detached swiftly and allow free access all the way around for the thorough and easy cleaning of the fully-welded plate package. Technically, DHPBloc has counter-flow, but when the flow passes are increased by the baffle, the heat exchange efficiency can be high because the flow pattern approaches the real countercurrent flow. SS316L is a basic plate material for DHPBloc, and the following materials are also used. DHPBloc has a lower manufacturing cost than Shell & Tube Heat Exchanger of the same capacity, and the heat exchange efficiency is much higher than that of Shell & Tube Heat Exchanger. 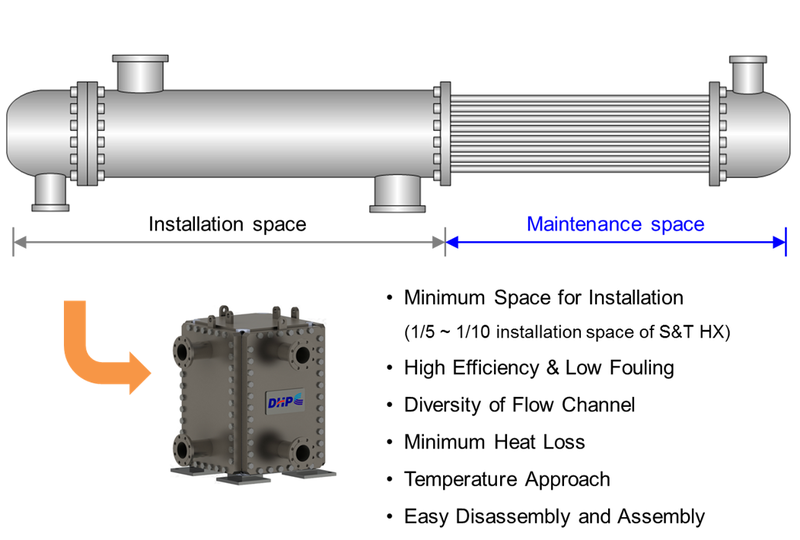 Therefore, the size of the product can be significantly reduced, and DHPBloc Installation space can also be reduced from 1/5 to 1/10 of Shell & Tube Heat Exchanger’s installation space.